We are proud of all the new products we created. However, to cater to most users, we want to know which product is the most needed. It would be great if you can tell us why. Definitely, the simpler laser engraver! Still arguing with myself. Double Z or CNC… hmm… Why not both? I sure hope they come available soon after i received my snapmaker! I like the larger build volume of the double Z, and that it should be a bit stiffer, but 2 columns under power can cause synchronization problems at high feed rates or cutting bit load if used for carving. I honestly expected the Snapmaker to be bigger than this with a lot more work space but it turned out small due to current, single Z-Axis design. A double Z-Axis would provide much appreciated stability and a larger area for further (modular) upgrades. I’d love to see later updates with work space as large as 25Cm³ and a laser cutter for a true DYI one-stop solution. The stronger CNC machine for sure. I’ve built a few of my own but your extrusions are so beefy and well designed a CNC based on your drive units would work great. I’ll definitely purchase the parts when theyre available and abandon my other home built designs. A taller 3D printer would be great, that is a major reason why I got the Snapmaker. I bought into the idea of expanding it. It would also be nice to have a CNC side to the Snapmaker that can work on aluminum. Other than those two things, one idea would be to create a rotating axis using one of the Z ports. That would open up the Snapmaker to a whole different ball game of possibilities. So it would be either a 3 or 4 axis CNC, depending on layout. If the rotating Z axis is parallel to the X axis, you would only need a Y axis to change height (creating a lathe). If the rotating Z axis is perpendicular to the X axis, you would nee another Z axis and a Y axis and now have a 4 axis machine. Not sure if this is even possible with the Snapmaker though, as I do not know if the double Z ports are just duplicates. 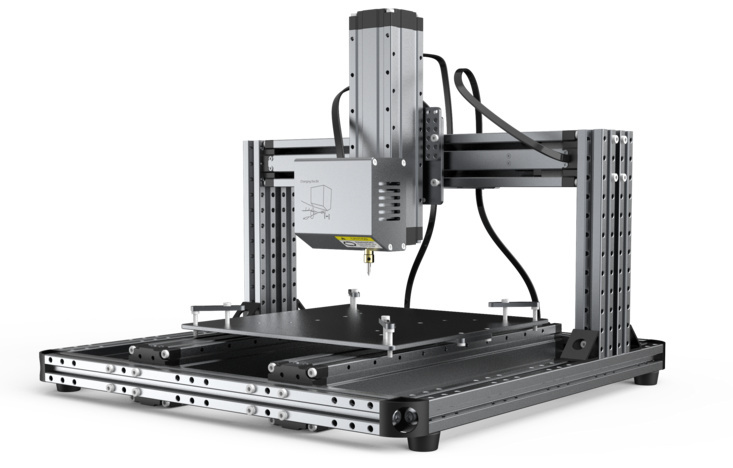 One more idea: combine the double Z, the stronger CNC and larger 3D printer. Large print bed supported by two Y axis motors. Have a splitter than just gives the same command to both, print bed keeps them in the same position. Double Z axis supports, with this using the extra long extrusions. Base of the printer could be the same idea as the stronger CNC, a frame instead of plate. There are 3D printers that function like this, but they don’t also do CNC and laser. Like extra modules? I know people over on the FB groups that have extras to sell. Oh, ya I think that would be part of their business plan. They marketed the snapmaker as being expandable. 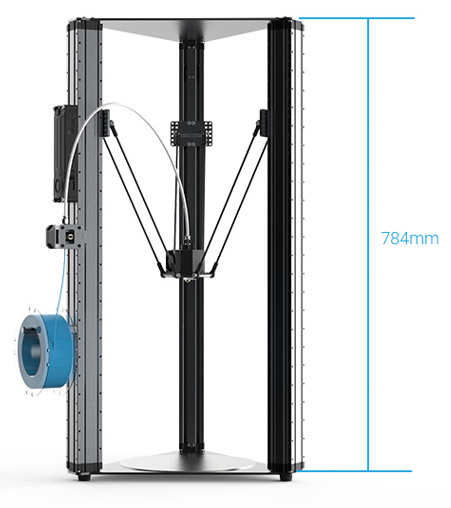 If ‘Double Z’ means a larger print volume in all 3 dimensions (I understand that to enlarge the X, you’ll need to have a second Z, otherwise the torque of the X-axis mount will be to high), I’m all for it! 25-30cm in all three dimensions would be fantastic! Is it possible to preorder the 3D printers? Hi, the double z axis is a must as the current surface size really limits the size of materials you can use for engraving/carving. Bigger 3d printing is also welcomed. If taller 3d print & double z axis machines were available I’d 100% buy one of each. yea, doesn’t look like i can vote, but it depends on what some of these things result in. Like if the double Z gives more of a print area (which it doesn’t really look like it does) that’d be my vote. If the taller also gives more in the other directions, that’d be my vote. The 3rd would be the simple laser. Really i would like that coupled with the new laser that will cut. but for now i’m really only using the 3D module, so i would want to expand that as i have like 10,000 things I want to print, and having to split up a box that’s 144x144x25 into 6 pieces just to get it to print on the small machine is annoying. We need a wider print area. Are you adding that to the kit as well?